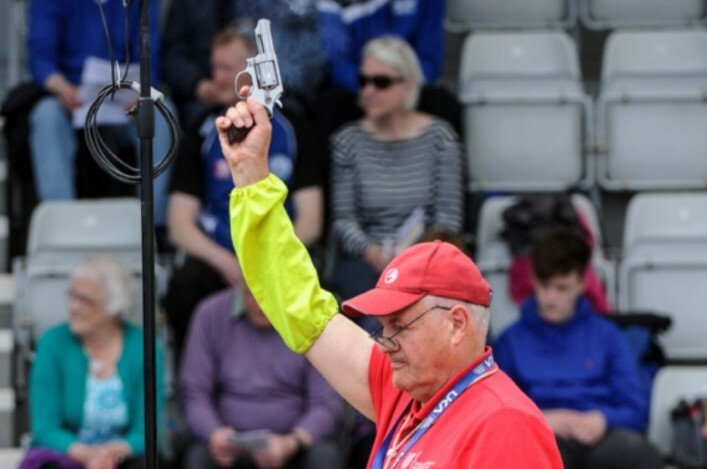 Scottish Officials are among the very best in the world in their field and scottishathletics are always thrilled to celebrate their dedication and commitment. So it is with no little pleasure – and no surprise – that we can confirm two of our own have won top awards at the UK Athletics Officials Conference! Ron Morrison was named the UK Endurance Official of the Year for his outstanding work in road running and cross country at so many events across the past 12 months and indeed a couple of decades. 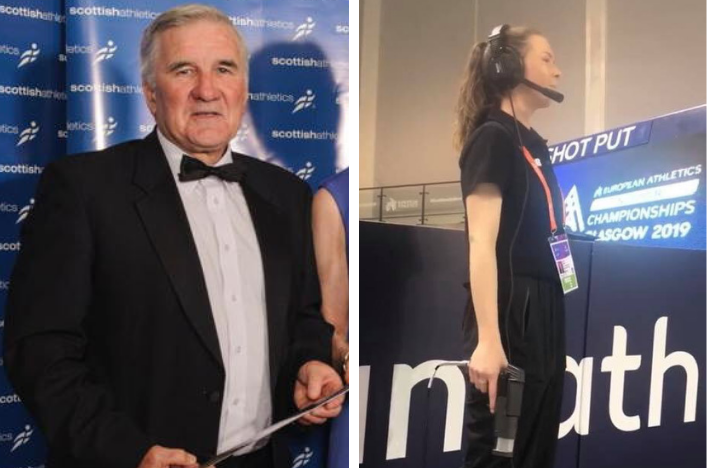 Joining Ron on the ‘podium’ is Falkirk Victoria Harriers volunteer, Kelly Bissett, who was named UK Athletics Young Official of the Year at the same conference. The category was for those aged under 25. Congratulations to both Ron and Kelly from all at scottishathletics on this deserved recognition and acknowledgement for hard work. 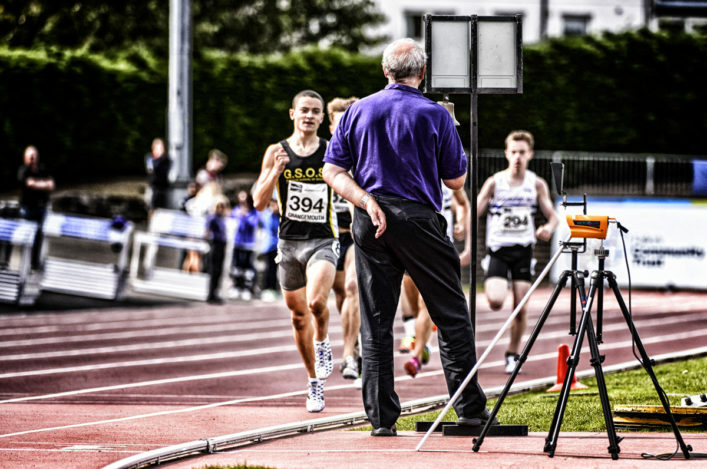 We’re also pleased to note that a third Scottish Official, Pat Hockley, received a 40-Year Service Award from UK Athletics – once again another richly merited accolade for someone who has given so much to the sport in Scotland for so long. Well done, Pat! 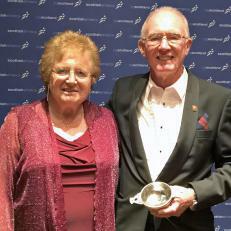 ‘I’m delighted to offer congratulations to Ron and Kelly from the Officials Commission and indeed the wider community in athletics in Scotland for their UK Athletics Officials Awards – and also to Pat for her 40-Year Service award,’ said Margaret Brown, Convenor of our Officials Commission. ‘It is always nice to see highly committed and dedicated volunteers winning awards and it is no surprise when Scottish Officials are recognised in this way. ‘Kelly is relatively new to the sport, coming in via Falkirk Victoria Harriers, and already making a big contribution. ‘It would be lovely if her success at the UKA Awards proved helpful in persuading other young people at our clubs that officiating might be a journey they want to begin themselves. ‘It can be very enjoyable and rewarding being part of the team, big events and helping the sport. ‘Ron of course is vastly experience and we lean on that experience at so many of our National Championships events in road and in cross country. He fully deserves this award – which shows that those beyond Scottish borders acknowledge the commitment he has made to our sport. @scotathletics Amazing news to share, Kelly Bissett has been named the Young Official of the Year by British Athletics!! Some of you may well have seen Kelly in International action early this year at the European Indoors.